For Sylvie. 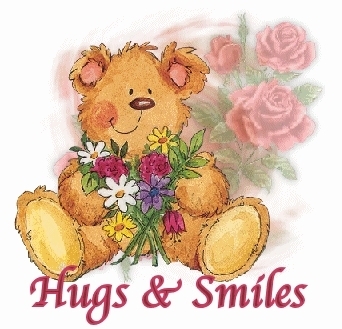 Hugs and smiles for a dear friend :). Wallpaper and background images in the KEEP SMILING club tagged: smile hugs sylvie friend teddy bear. This KEEP SMILING photo might contain bouquet, corsage, posy, nosegay, hippeastrum, hippeastrum puniceum, and frosted layer cake. How can it be differently ? This Teddy Bear is really sweet and I adore Teddy Bears ! I love teddy bears too! They are so cute, I always had a Teddy Bear !